The SVHX8 Hydrovac comes with or without winterization to fit the entire North American Market including Canada and the USA. This lightweight powerhouse is especially suitable for city applications. Excellent noise reduction and driving experience make the SVHX8 Hydrovac a breeze to use in the city. Its powerful blower creates a full vacuum and therefore pulls material like you wouldn't expect. The SVHX8 is a tandem 8-yard hydrovac. The hydraulically opening rear door allows fast dumping and hustles free washdown of the truck at the end of a job day. The 860 US gallons water capacity allows on average to fill the debris tank, whilst reducing the weight to haul around. 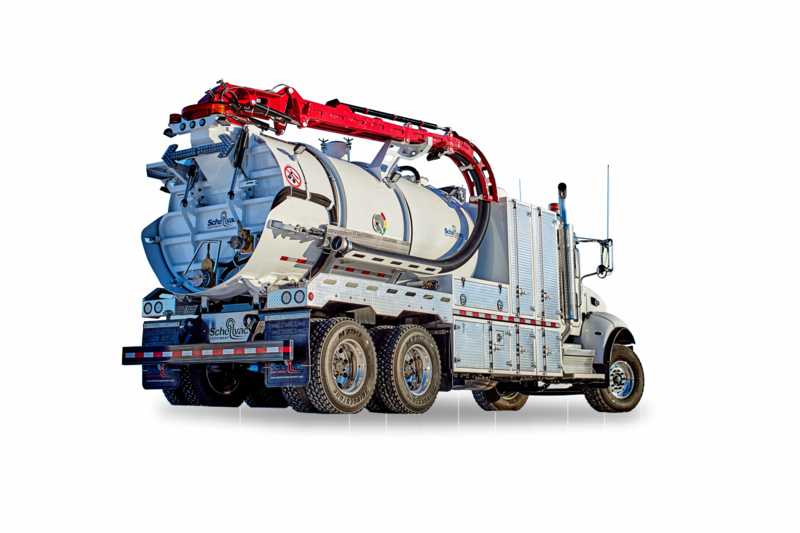 Due to its superior design, the SVHX8 hydrovac offers an excellent driving experience. The weight distribution allows for an optimum balance between front and rear axles making it weight compliant in most states and provinces. The SVHX8 hydrovac comes with a lot of storage. With the optional exclusion of the winter package, you'll get one more storage cabinet that would otherwise be occupied by the boiler. Nevertheless, the standard variant with the winter package offers lots of room to store tools and equipment. The heated and insulated cabinets include the control center and the water pump, keeping you freeze free even in the harshest of conditions. Furthermore, you have the option to glycol the water system just by simply turning a valve. It's easy as that. The SVHX8 hydrovac comes with functionality throughout. The SVHX8 was designed to bring you the full advantage in a smaller and lighter body. Shorter and narrower than its siblings, the SVHX8 is the number one unit for your urban job sites and governmental jobs on narrow city or municipal streets with limited weight allowances. Cut your costs and bump up your profits. 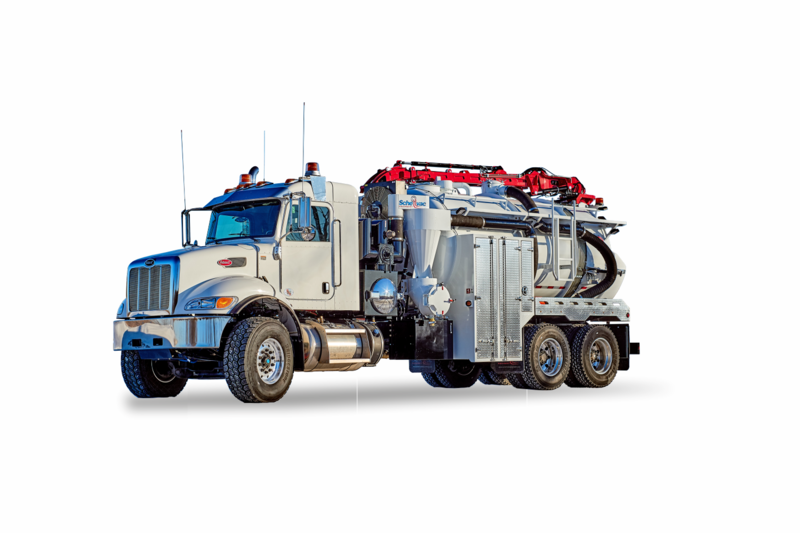 This hydrovac truck performs and provides massive time and fuel savings over time. The whole layout is tailored with the operator in mind. Fast dumping, easy operations, and preparations will make the SVHX8 your operators new favorite hydrovac. Give us a call to set up a demo appointment.